Scarpeta made a successful reappearance in the feature event of the afternoon at Clonmel. The Willie Mullins-trained five-year-old plied his trade at the highest level as a novice hurdler last season, most notably finishing fourth behind Samcro in the Ballymore Novices’ Hurdle at the Cheltenham Festival. He was a 1-2 favourite to see off six rivals as he stepped up for three miles for the first time in the Jim Strang & Sons Kilsheelan (Peugeot) Hurdle. Paul Townend’s mount did not entirely convince in the jumping department, but turned for home still full of running and an accurate leap at the final flight secured his eight-length success. Robbin’hannon was a clear second. 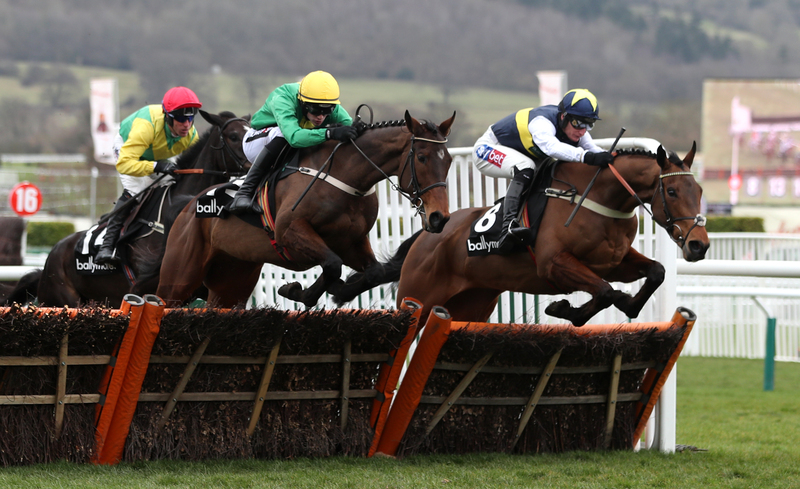 Townend said: “We know he has a big engine, but he has a bit to work on with his jumping. “It was a sign of the engine he has that he could be awkward over a few of the hurdles and still be on the bridle turning in. Townend remains one winner behind Rachael Blackmore in the jockeys’ title race race after she struck gold aboard the Joseph O’Brien-trained Smoking Gun in the Clonmel Maiden Hurdle. The 9-4 favourite looked booked for second behind the front-running Makka Pakka early in the straight, but eventually wore him down and went on to win by three lengths. Willie Austin and David Mullins combined to land the Powerstown Handicap Hurdle with 16-1 shot All The Chimneys before the Shark Hanlon-trained Redwood Boy landed a 25-1 victory in the Adare Manor Opportunity Handicap Hurdle under Danny Holden. Hanlon said: “We ran him over fences a week ago and Rachael Blackmore, who rode him, came in and said he was a coward and to go back over hurdles. We had him entered here at the time and that’s why we ran him. “He is a little bit of a rogue and I don’t think chasing is going to be a part of his life.